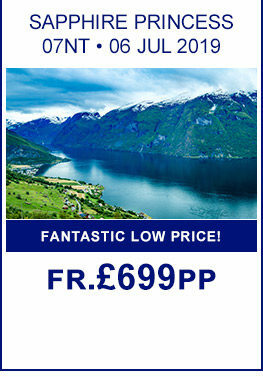 Visit the Norwegian Fjords, a place full of wonders and adventure. From biking through beautiful surroundings to hiking up huge mountains, you will find the adventure within the Norwegian Fjords wherever you go. 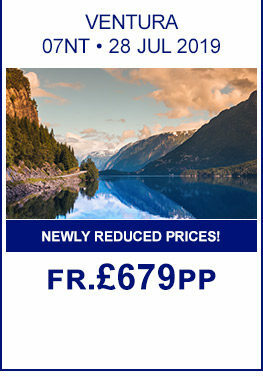 It’s not just about the adventure, take a train ride on the Flam Railway known to be one of the most scenic and beautiful train rides in the world, tourists from all around the world come to Norway so they can experience this elegant train ride. Ride through high mountains, tunnels, breath-taking waterfalls and more whilst relaxing in a warm and toasty train. Newly Reduced Prices! , Legends at Sea themed cruise! 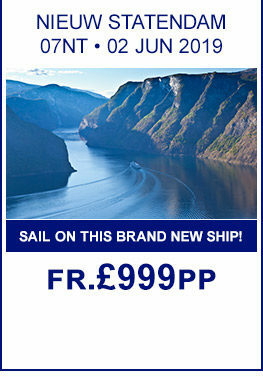 Taking a cruise to the Norwegian Fjords is like a once-in-a-life-time experience, but being able to do it again and again. Why not ride across the Atlantic road also known as ‘The Road in the Ocean’, a road with seven bridges which allows you take a unique journey through moorland and fertile cultural landscape where you can follow the islands in the sea. Venture the Nearoyfjord, a place full of beauty, with steep mountains ascending 1800 metres high, glamorous waterfalls and grand spectacles of nature all there waiting for you to experience. Hike up Romsdalen Mountains where you can climb to the top of each mountain and take in such spectacular views. Stroll through the long and narrow valley where you can sit at mountain tops such as Kongen, Dronningen, Romsdalshorn, Store Trolltin and Store Venjestind, and when the weather is clear, stand on Romsdalseggen, where you can see all the way to Modle and the Atlantic Ocean, a view you do not want to miss! Skiing in the Norwegian Fjords is truly amazing, you have a choice of cross-country, downhill, slalom skiing and snowboarding with magnificent views and beautiful surroundings to make it even better. The glacier in the west of Norway gives you an adventurous opportunity to do ice climbing and skiing in summer months. 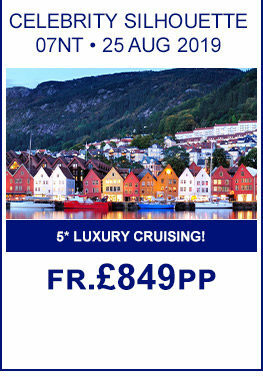 There is so much for you to explore and discover in the Norwegian Fjords, so get booking!